Part of a continued series on the Catholic doctrine of Scripture. Fundamental to the process of Catholic biblical interpretation is the distinction between the literal and the spiritual sense of the text. This distinction is common among the Fathers, and was articulated by St. Augustine on the basis of a comprehensive philosophy of “signs” and “things.” St. Augustine argued that reality could be divided into “signs”—realities that had signification, pointing beyond themselves to something else—and “things,” realities that had no signification. The words of Scripture were “signs” that pointed to “things” beyond themselves, usually to historical realities. For example, the word “David” is “sign” that refers to a historical “thing,” the founder of the royal dynasty of Israel. When one fully understands all the “things” (realities) to which the “signs” (words of Scripture) refer, one has attained the literal sense of Scripture. themselves be “signs” of yet other things. Therefore, David himself could be a sign and symbol of one who was yet to come, a greater Son of David, who would be a righteous, suffering king, yet without David’s sins. The spiritual sense of the text is the identification of the deeper realities to which the “things” of Scripture point. Here it is useful to introduce the concept of typology. Typology is the study or use of types. Types are “things” with symbolic value, “things” that are also “signs” and point beyond themselves to subsequent or deeper realities. For example, in the Church’s tradition, Adam is understood as a type of Christ, Eve as a type of Mary. The thing symbolized is an anti-type; therefore, in the relationships just described, Christ and Mary are anti-types. The spiritual sense of Scripture went by different names in the writings of various fathers and doctors, such as the “figurative” sense or the “mystical” sense. By the medieval period, it became customary to divide the spiritual sense into three subsenses according to their object. The allegorical sense was a typological sense oriented to the whole Christ; any typological relationship involving Christ, his Mother, his apostles, his Sacraments, his bride the Church, or any other element of the New Covenant economy, is considered allegorical. The moral or tropological sense is a symbolic sense which provides guidance for the behavior of the believer. It often involves an implicit typology in which a character in the biblical narrative is understood as a type of “everyman” or every believer, and lessons are drawn for the moral behavior of the believer based on the experiences of the character in the biblical narrative. Finally, the anagogical sense generally involves a typological relationship involving the last things: a symbolism is perceived in the text which points (usually) to heaven, but perhaps also death, judgment, and hell. The three senses relate to the three theological virtues: the allegorical sense pertains to matters of faith, that is, things we believe in; the moral sense pertains to love, that is, how we behave; the anagogical sense pertains to that for which we hope: heaven, the beatific vision. It is possible to speak of either the “two senses” or the “four senses” of Scripture. The “two senses” refers to the literal and spiritual sense, but when the phrase “four senses” are used, the spiritual sense is being divided into its three subsenses, giving the quartet literal, allegorical, moral, and anagogical. Obviously, the whole logic of the spiritual sense is premised on a robust notion of divine Providence, a belief that God has “written history as men write books.” God in fact intended that the historical figure David was a sign and symbol of a greater king who was to come. Therefore, when the interpreter sees such a relationship in Scripture, it is a perception of reality, and not the imposition of meaning by the interpreter. It goes without saying that, with the rise of secularism in the wake of the Enlightenment, a robust sense of Divine providence, or indeed any sense of divine Providence, has been lost. As a result, typology and the spiritual sense have been marginalized, beginning with the Protestant Reformers and increasingly so among modern interpreters. In contemporary academic study of the bible, the spiritual sense is has no place, and typology is regarded as a fanciful imposition of Christian meaning to ancient Israelite texts. But this is only to recognize that modern academic study of the Bible is pursued according to secular assumptions, not Christian ones. The Church herself continues to recognize the legitimacy of typology. Interpretation of the literal sense begins with a knowledge of the grammar and syntax of the language in which the biblical text was composed. 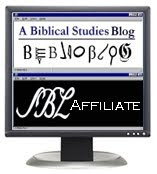 After establishing the “plain sense” of the words (not to be confused with the literal sense per se), the interpreter looks for the use of literary and rhetorical devices, structural patterns of composition, and other artistic, higher-order uses of language, based on a knowledge of literature generally, especially the literature(s) of the biblical author’s society. A solid knowledge of the history and culture from which the text arose is also necessary to understand the meaning and significances of the actions, characters, places, events, customs, and other realia to which the text refers. In the investigation of the literal sense, the interpreter with proper training may choose to employ various elements of the historical critical method—source, form, tradition, and redaction criticism—where these methods are applicable and appropriate. Not all aspects of the historical critical method can be applied to every text, however. Some texts, for example, do not use any sources, or at least, their sources cannot be reconstructed with confidence in our present state of knowledge. Moreover, care must be taken to apply the historical-critical methodology without presuppositions contrary to the faith: “In applying methods of historical analysis, no criteria should be adopted which would rule out in advance God’s self-disclosure in human history.” (Verbum Domini §36). The peculiar opportunities and challenges presented by the historical-critical method will be discussed in the following chapter. The sacred author does not mean to affirm that God is like a fire-breathing dragon; such would be a literalistic interpretation, not the literal sense. The literal sense of this non-literal text would be something like the following: “God demonstrated his awesome power.” The literal sense is the unadorned statement of the meaning intended by the author of Scripture. However, one must keep in mind that the primary author is God. These three criteria of Vatican II, commonly summarized as (1) content and unity, (2) living tradition, and (3) the analogy of faith, are strictly speaking not restricted to the investigation of the spiritual sense, but also are relevant for the determination of the literal sense. However, they are of particular relevance to spiritual interpretation. First of all, it is only by having a knowledge of the contents of Scripture and the themes, motifs, and concepts that unify the Scriptural texts that the interpreter is able to recognize the interconnections, analogies, and similarities by which typological relationships between the Old and New Testament are established. Secondly, the long meditation on Scripture that has taken place over the generations among the fathers, doctors, and saints, has built up a common body of accepted spiritual interpretations of the Scriptures. These interpretations are communicated and perpetuated primarily in the liturgy, via the liturgical prayers, the choice and juxtaposition of lectionary readings for each day, and in the liturgy of the hours. The liturgy is the primary vehicle of the living tradition; therefore, the interpreter should place high value in understanding the use of Scripture in the liturgical prayer of the Church. Thirdly, the term analogy of faith is generally used to describe “the harmony which exists between the elements of the faith.” The interpretation of Scripture should complement, not conflict with, the other aspects of Catholic theology: moral, dogmatic, and historical. Exegesis should be guided by the dogmas defined by the magisterium. Dogmas are, in essence, nothing other than authoritative interpretations of revelation. Dogmas are an aid, not a hindrance, to the proper interpretation of Scripture. For example, the Chalcedonian definition of the two natures but one person of Christ is intended to provide a formula robust enough to accommodate the truth of all the Scriptural statements on the nature of Christ. “Two natures, one person,” provides an explanation for how it may be asserted, on the one hand, that “I and the Father are one,” (John 10:30) and yet on the other, “The Father is greater than I” (John 14:28). 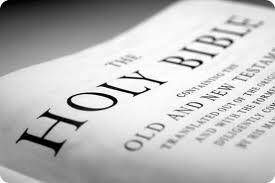 In a similar way, all the dogmas of the Church are intended to guide the proper reading of Scripture. In the next post, we will present a streamlined overview of the process of interpretation. This is an informative blog on The Interpretation of the Literal plus spiritual Sense by which I have got the info which I really wanted to get.